Earlier in the week, our environmental science theme group (ENV) expert Scott Guzewich gave a nice summary of the dust storm developing on the other side of Mars. In response, the ENV group planned a suite of activities to monitor how the amount of dust in the atmosphere will change over the next few sols. To measure dust in the atmosphere, we'll first point Mastcam towards the sun and take a tau measurement, which lets us determine the optical depth vertically. 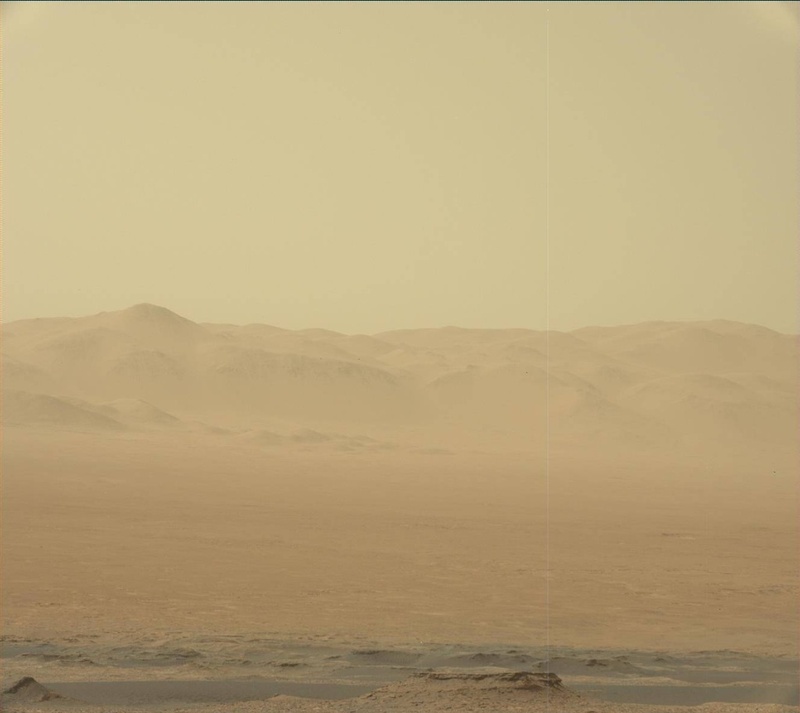 Then we'll take a Mastcam image of the crater rim to determine line-of-sight extinction, which is directly related to the amount of dust present. ENV will also take a few movies with Navcam to assess clouds, wind direction, and to look for dust devils. Overnight on Sol 2076-2077, we'll perform our third CheMin analysis on the Duluth drill sample. Our geology theme group (GEO) planned some additional activities later in the day on Sol 2077 to support our assessment of the Duluth drill hole, including a ChemCam LIBS raster of the drill hole and several change detection Mastcam images. Whenever Curiosity is parked at a location for more than a few sols, we commonly take a series of these change detection images to systematically look for material that has moved. We'll also do a LIBS observation on the nearby rock target "Isanti" and perform a routine check-up on the Mastcam instrument with a sky column observation.